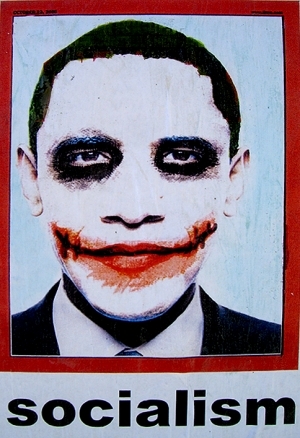 Posters of Obama in “Joker” face paint with the word Socialism underneath (above) are being posted in areas of Los Angeles, Ca. 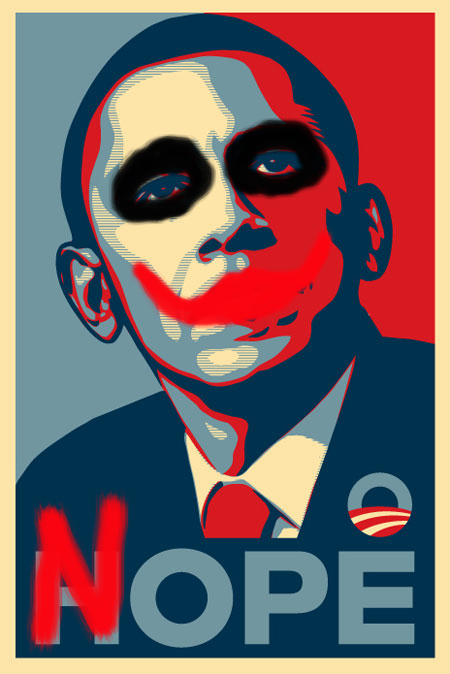 No one has come forward to claim responsibility and it is unknown what the intent of the posters are. 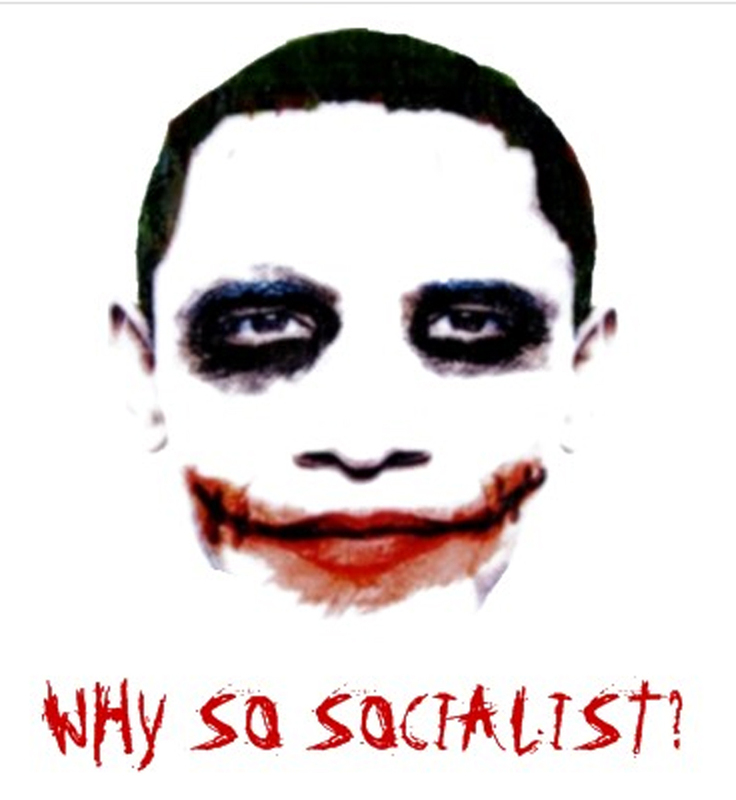 I don’t get the connection between the Joker and socialism, but I do like the concept. 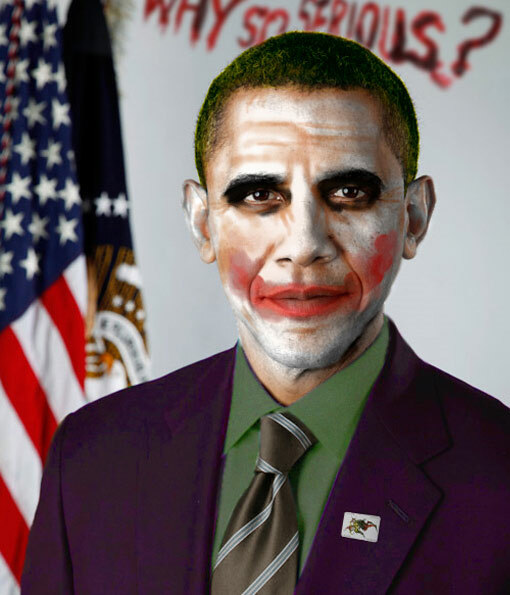 Unsurprisingly, many Obama supporters are claiming this has racial undertones and are expressing thier disapproval. 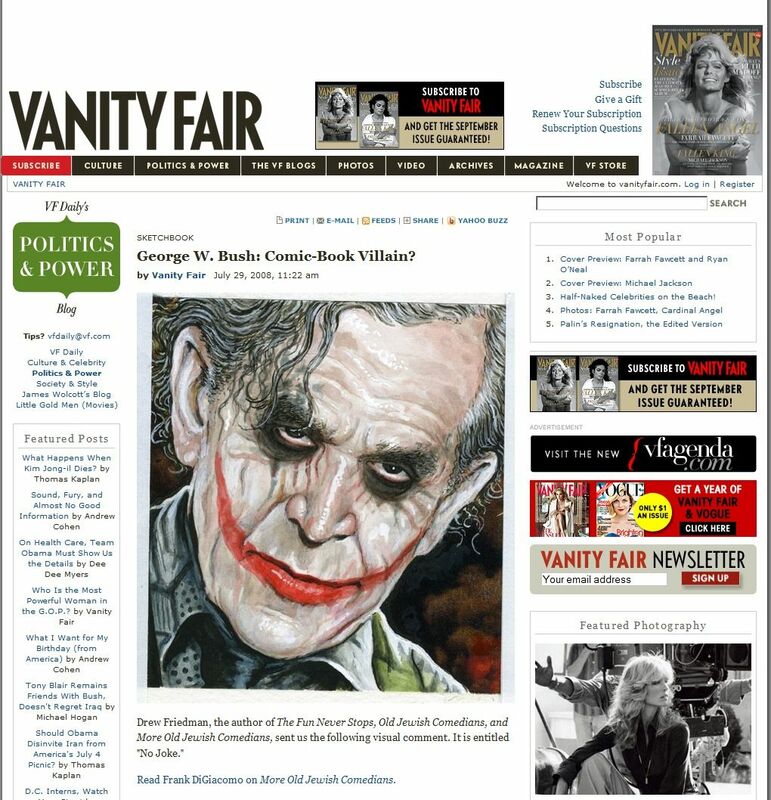 Of course, there was tons of outrage when Vanity Fair ran this rendition of President Bush back in 2006. 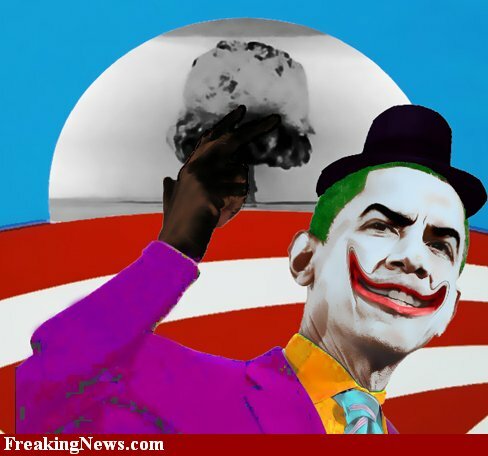 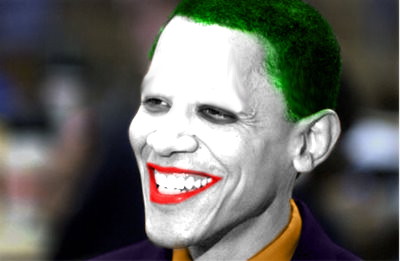 Below are a few other renditions of “Obama Joker” I came across while researching articles this poster.